Our precision components provide safe and leak free fluid dispensing from syringe barrels. These pistons wipe the inner walls of the syringe barrel to eliminate waste and fluid mess. Use with our 5cc size syringe barrels and with any pneumatic dispenser. 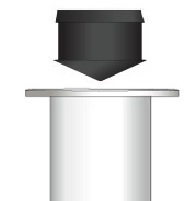 Plastic barrel piston, designed to ensure pressure is spread evenly across the surface of the fluid to be dispensed, allowing consistent dispensing without mess or waste. Summary: Pistons for use with 7050LL1NPK, 7050LL1DPK, 7050LL1BPK syringe barrels. AD905-WW.